It's not any secret around here that we love FSU football. 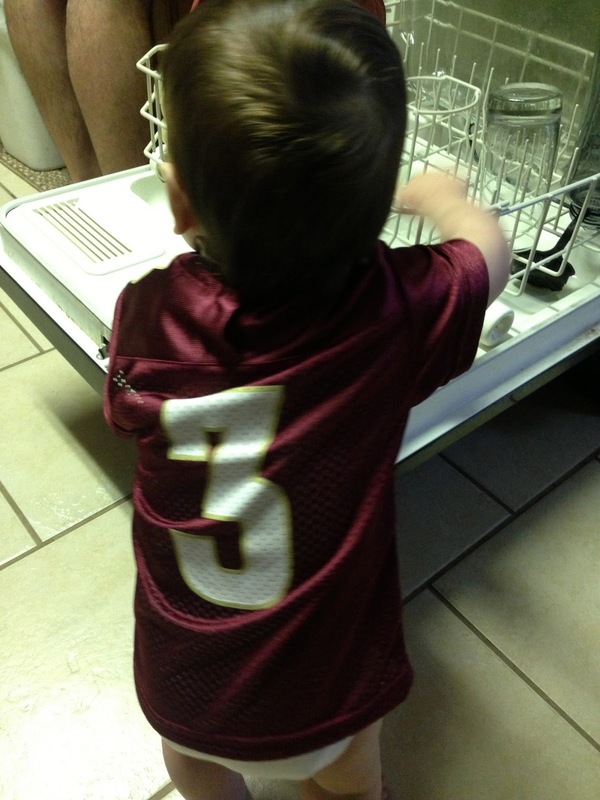 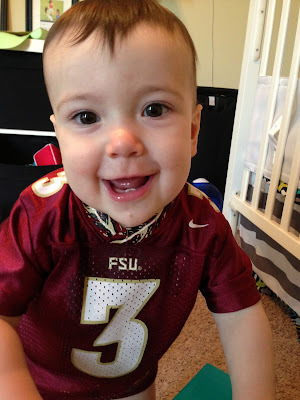 Cooper has been sporting FSU gear since birth, and it's something that's been passed down from Pop. :) A few years ago, a friend was even nice enough to give us some tickets for a game that she didn't need! 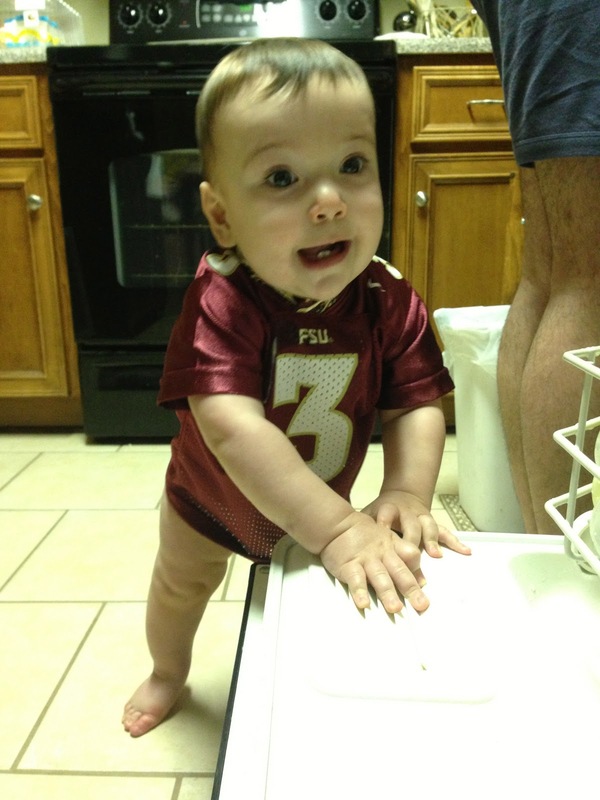 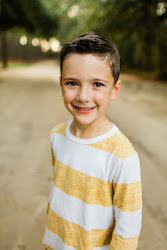 I must say, he sure makes a handsome little football player! 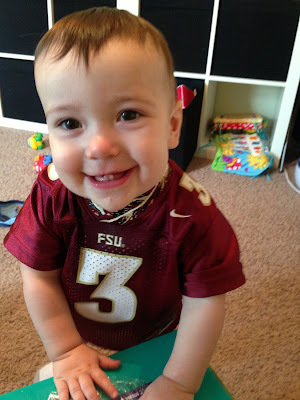 Whatever he decides to do sports-wise later is fine, but he sure looks super cute in a football jersey!